Still more of the most important piece of kit! 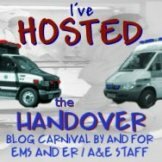 One of my blogger buddies TOTWTYTR has posted another discussion about what is the most important piece of equipment on the ambulance. He has informed me that he was planning a post based on this topic before I put mine up (sorry! ), but he has continued the discussion over at his blog with a very different look on things. Click this link to go and read and get in on the discussion early.